Learn about the best of EOLU in 2018 and how to catch up if you missed any of these events! “Death Education for Everyone” was the theme for 2018 and we’ll review all the great educational content that was provided in the past year. It’s not too late to listen in on the best webinars and interviews of the year before we get started on a brand new season of EOLU! Check out the links for the events you’ve missed in the description below. BIG NEWS!! Starting in 2019 the EOLU Interview Series will merge with the EOLU Podcast – so all the great interviews you are used to hearing on the interview series will now be available as podcast episodes. This means you can subscribe to the podcast and listen to the interviews on your phone while you are on the go! 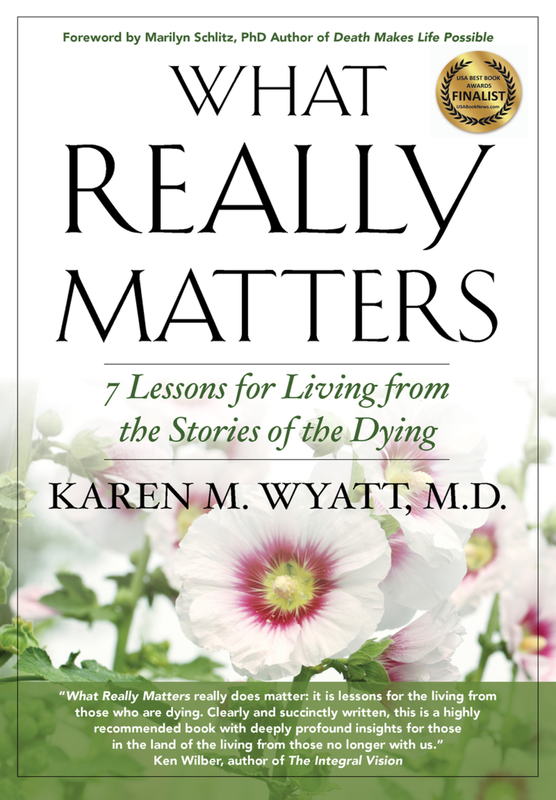 In addition you’ll be able to hear the solo episodes (like this one) where I share my wisdom, inspiration, and ideas for embracing the end of life and living fully today. You can also listen to the episodes at www.eolupodcast.com. Thanks for all of your support in 2018! I appreciate you for listening in and encouraging me to keep going. And I’m especially grateful to those of you who have become patrons on my donation page at Patreon.com/eolu: you make my heart sing! A Year of Reading Dangerously online reading group; we’ve read one book a month this year and held 9 live book discussions with authors of the books in attendance. Nearly 1,000 readers from around the world have joined together to read the same book at the same time. We’ve all learned a lot about death, dying and the afterlife and have had fun in the process! View the books and discussions from 2018 here. Teaching Guidelines for a Death and Dying Class – this free pdf was made available to hundreds of people interested in teaching about end of life issues. You can still get the Guidelines here. Workshop on How to Teach a Death and Dying Class successfully helped launch dozens of classes around the country and culminated in 5 students creating online webinars, which you can view here. Promoted Cathy Zheutlin’s new film “Living While Dying” as an excellent tool for teaching community members about death and dying. Learn more about the film here. “End-of-Life Doula Training for Caregivers and Volunteers” with Suzanne O’Brien of Doulagivers.com. View the webinar here. “Bridge Time: The Consequences of Change” with Jane Barton of Cardinalife.com; she talks about how caregivers can become more resilient in the face of change. View the webinar here. “Collaborative Care for Caregivers: How to Ask for Help” with Jane Barton. View the webinar here. Hansa Bergwall talking about the WeCroak app he created for smart phones that reminds you of your mortality 5 times a day. Listen here. Dr. Bob Uslander who has pioneered a new concierge model of end-of-life care, which could be a game-changer for the medical system and how we help patients navigate their last days. Listen here. Alua Arthur of Going With Grace talked about the legal issues that can occur after death and how to prepare for them in advance. Listen here. Deanna Cochran RN and Suzanne O’Brien RN both talked about the creation of the End-of-Life Doula Council by the NHPCO and the National End-of-Life Doula Alliance, which now provides certification training for doulas. Listen to Deanna’s interview here. Listen to Suzanne’s interview here. Cheryl Jones of Good Grief Radio Show talked about end-of-life issues and the LGBTQ community. Listen here. Jonathan Bartels RN discussed The Medical Pause which he initiated to show respect after the death of a patient at his hospital and has now spread around the world! Listen here. Michael Hebb talked about founding Death Over Dinner. Listen here. Joe Primo of Good-Grief.org discussed helping children with grief and how to include them in the experience of death and dying. Listen here. Let’s do dying and death better! A Year of Reading Dangerously will continue! View the book list here.